Yamaha C-Series guitars are excellent musical instruments for novice learners. 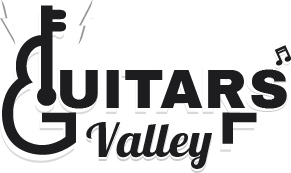 Outstanding playability and musical rhythm provide a high level of brand acceptance for beginners and young guitarists. Only Yamaha C40II Classical guitar can deliver remarkable cost performance including full-size instruments with great performance. Yamaha C40 is beautifully designed with a scale and thick body that ensures your comfort at playing the guitar. It presents exclusive accessories and classical models with a pocket-friendly budget. First of all, we want to make a thing very clear to all of you. 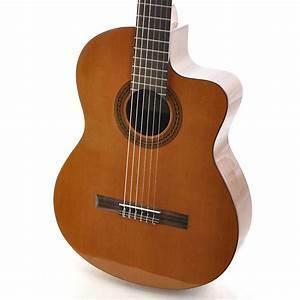 You should bear a thing in mind before buying this guitar and that is C40 classical guitar is ideal for beginner level guitarists at a very reasonable cost. That’s why this Yamaha classical guitar review is for those who have no purchase experience before regarding a guitar and also prefer a standard guitar for learning. C40 has been manufactured with a Spruce wood top and perfect neck and body size. When we decide to write this full review, we took the valuable opinion from those who have practically experienced the service and given their worthy feedback for choosing Yamaha C40II classical guitar. The full-size classical guitar features with a spruce top and Meranti back and sides. Rosewood Fingerboard and bridge creates a classic look to the design of this guitar. 650mm smooth string scale makes an easy action of the guitar for the beginners. C40 features with a laminates tonewood that allows the excellent sound quality. Awesome guitar for the price. Offers nice tone with pristine sound. Excellent playability and it makes you feel comfort while playing. It’s easy to carry because of lightweight. Strings are not very good in quality. Does C40 guitar have any knot for a strap? Answer: Classical guitars usually don’t have any knots, as they are thoughtfully designed differently than acoustic guitars. Thanks for the question. 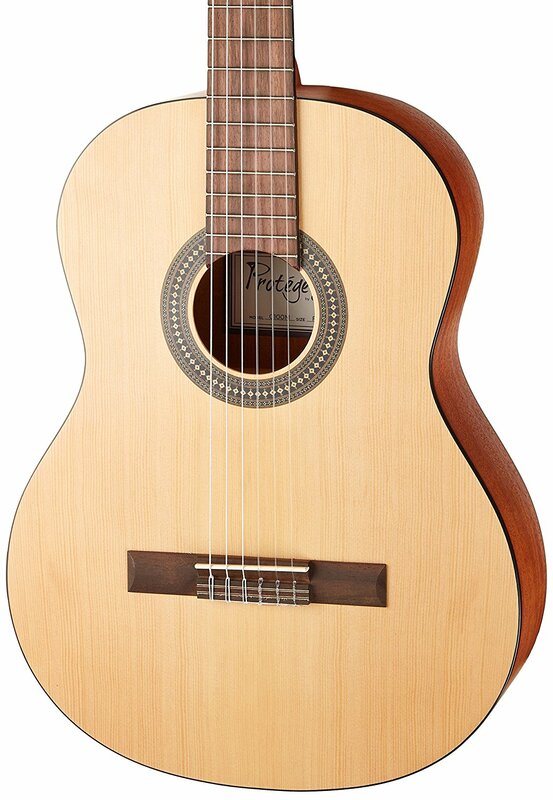 How can you justify this one to the other Yamaha c-Series classical guitar? Answer: Well. 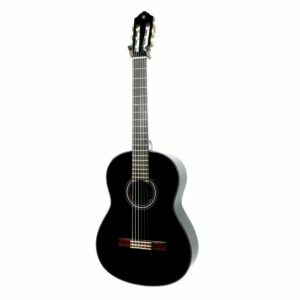 Yamaha C40 is quite affordable and offers significant quality that a classical guitar should have for the beginner level learners. Where is the Yamaha logo on the guitar? I didn’t find it till now. Answer: Please carefully check out and you can find the logo at the top of the handle. 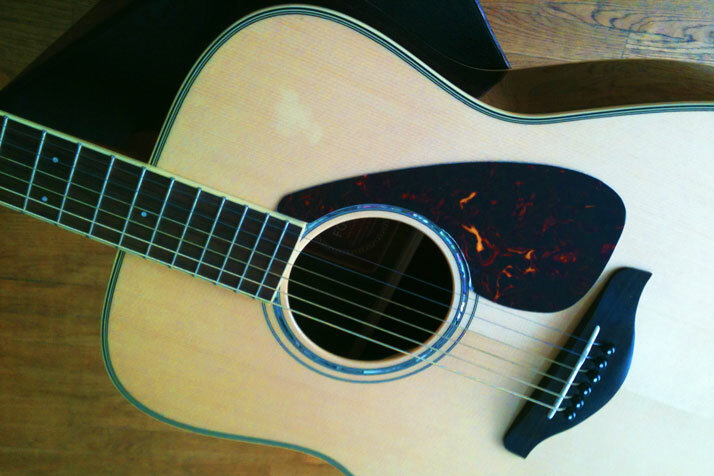 For your kind information, you can find another one inside of the sound hole. Thank you for your query. Yamaha C40 is undoubtedly the best guitar for the guitar lovers at an initial stage. This one has undoubtedly earned remarkable popularity and fame in the world of guitar. The guitar completes with a great padded gig bag, instructional musical book and DVD with a little more cost. So, if you want to start practicing guitar and invest a little price in it, Yamaha C40 will be the best option for you to buy.